It’s fair to say horror movies are given something of an unfair press. Unlike romance, drama, and sci-fi, they’re frequently looked upon as the poor relation and subjected to vicious critical attacks. They’re sometimes accused of only wanting to provoke a reaction, as opposed to having any higher aspirations to create screen-worthy cinema or an enduring impact. But that's no more accurate than saying all romantic flicks or dramas are the same. Thankfully, thrillers and horror films finally seem to be getting some of the recognition they deserve. Thanks to a number of classics that have combined strong storylines with masterful acting, magnificent scripts, and scares that leave us awake long into the night, horror movies are undergoing something of a renaissance at present. To celebrate this, here’s a look back at some of the blockbusters that helped get us here. 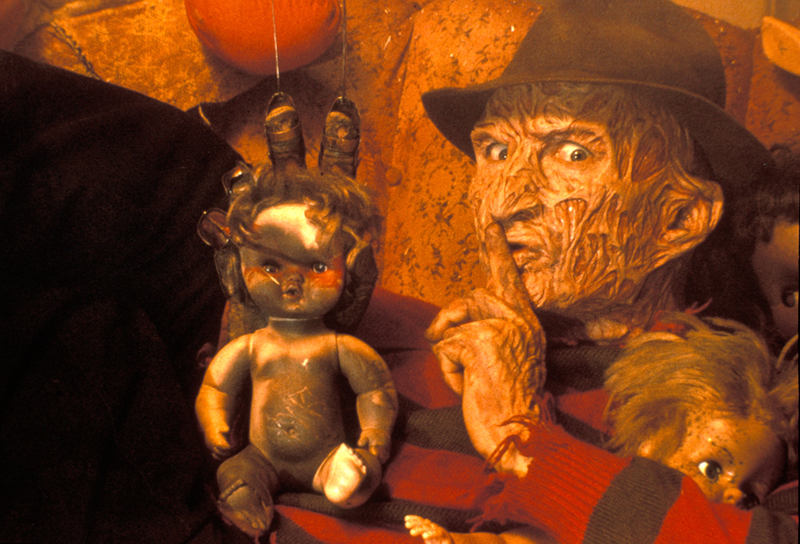 Becoming a cult classic both on and off screen, A Nightmare on Elm Street has not only kept consecutive generations hooked with its action, but has even inspired a 2005 book series of the same name, licensed merchandise, and a slot game that’s available to play online at sites like 888casino. You can head across to Bonus Source for the latest offers and have a go at the slot machine – the site is always up to date should you fancy some fun. Directed by Wes Craven, it stars Heather Langenkamp, Robert Englund, and John Saxon, and tells the nightmarish story of a monster who invades your dreams in the dark of the night. With the hellish Freddy Krueger using his trademark razor-fingered gloves to slash his way through the cast, this original - though often parodied – concept remains one of the most daring, inventive, and downright terrifying horror flicks of the last hundred years. Released 10 years before Nightmare on Elm Street, The Texas Chainsaw Massacre was another horror great that helped pave the way for a new era of cinema magic. Directed by Tobe Hooper and starring Gunnar Hansen and Marilyn Burns, it followed a relentless serial killer with a penchant for chopping people up. So graphic that it caused some people to walk out of the cinema at the time of its release, it is seen in one of two ways: as either a sadistic gore fest or a modern masterpiece. Though sequels and remakes have been made many times over, not one has ever matched the original for pure shock and horror. Starting the matchless acting talents of Jack Nicholson and Shelly Duvall, The Shining is quite possibly the greatest piece of cinema ever made by Stanley Kubrick – and that’s saying something. So iconic that it’s inspired everything from wall posters to the most widely recognized catchphrases around, this is a clever film that’s filled with eerie and chilling moments. Combining the very best of intelligent theatre with a story taken straight from one of the most famous horror novels in existence, it gives us characters we truly care about and spine-tingling instances of suspense. Supposedly based on a true story, The Exorcist is one of those rare films that will leave you frightened ever after. Starring Ellen Burstyn, Linda Blair, Jason Miller, and Max von Sydow, it flits between the vibrant bazaars of Iraq and the serene streets of Georgetown, where it seems like nothing bad could ever happen. Beautiful and brutal, artistic yet exploitative, it marries both science and religion in the telling of its story – and creates one of the most disturbing, dramatic, and downright terrifying horror flicks ever created. Even four decades after its inception, you won’t want to watch it with the lights out. Isn’t it time to scare yourself silly with these four classic horror films?